Page created 26th February 2016. Last updated 14th January 2019. This is a list of Star Trek stories written by Greg Cox, who has written Star Trek prose and shorter form fiction for all the prime Star Trek series except Enterprise and Discovery, although the majority of his work focuses on characters and settings from TOS and TNG. Cox's settings tend to be quite wide ranging, particularly his TOS stories, which have been set in almost all of the major eras from the TV and film series, as well dipping into other time periods; perhaps most notably his Eugenics Wars books set in the 20th century. Cox was also going to be one of the authors of the first four adult novels set in the Kelvin timeline, having written a novel focused on Spock-prime in the new timeline, called the The Hazard of Concealing. Alas quite late in production all four of these books were cancelled (not before blurbs and preliminary covers were released however). Cox reused elements of his book later, in the TOS novel No Time Like the Past. Outside of Star Trek Cox has written tie-in books for numerous other series, including Alias, CSI, and The 4400. He has also written novelisations of many movies and comic series. The list below is of Cox's Star Trek stories, in all formats, presented in publication order. Notes: A DS9 novel featuring Horta, and Cox's first Star Trek book. Co-written by John Gregory Betancourt. 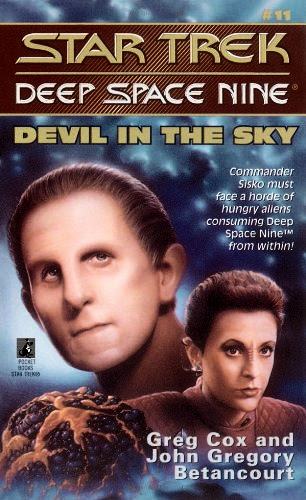 This was the eleventh book in the DS9 numbered novel series. Notes: A TNG novel, co-written by Kij Johnson. 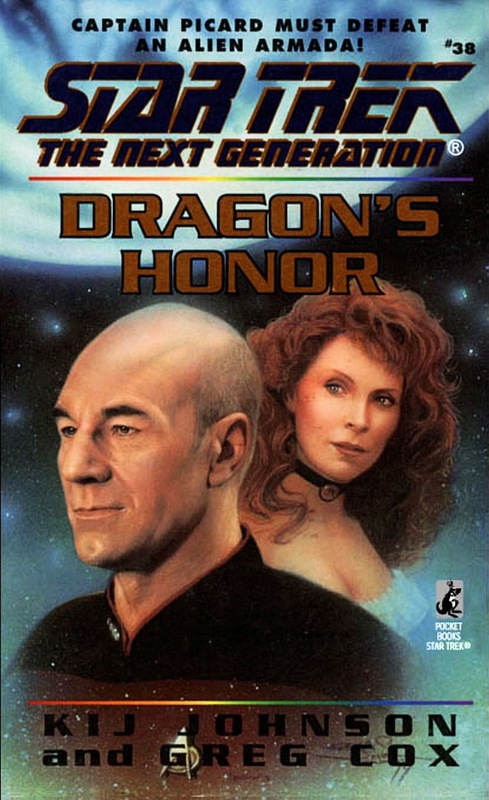 This was the thirty-eighth book in the TNG numbered novel series. Page created 26th February 2016. Last updated 18th August 2018. This is a list of Star Trek stories written by James Swallow, whose work is wide ranging, including episodes of Voyager (the first and so far only British writer for Star Trek television), numerous novels and other shorter prose fiction for all the prime series except Enterprise, as well as several books-only series, and a Star Trek video game. Swallow has also contributed to several Star Trek magazines, including the Star Trek Magazine and Star Trek: Fact Files. Beyond Star Trek, Swallow has written works for several other franchises, including prose and/or audiobooks from Doctor Who, Stargate, Warhammer, and several other series, as well as video game scripting, including Star Wars for Disney Infinity 3.0. The list below is of Swallow's Star Trek stories, in all formats, presented in publication order. Notes: Swallow's first Star Trek story, a Voyager episode. Swallow is uncredited, but pitched the story which was scripted by Jeri Taylor. 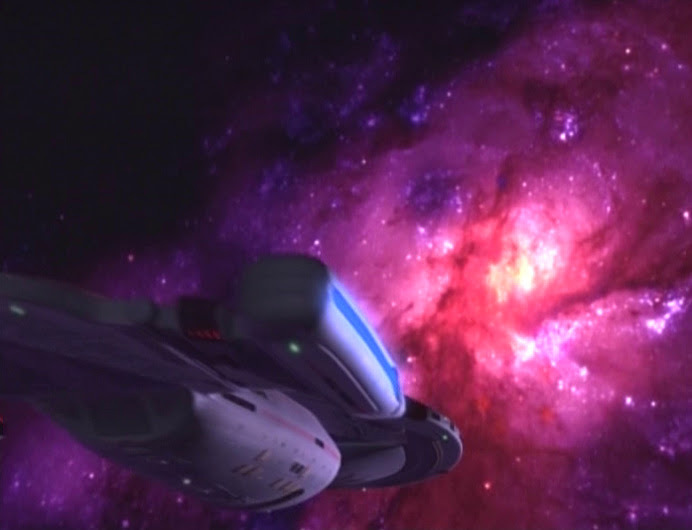 The nebula in which this episode is set was later named the Swallow Nebula in the Star Trek: Star Charts, in honour of the writer. Notes: Another Voyager episode. Again Swallow is uncredited, but pitched the story which was credited to Brannon Braga, with the teleplay wrtten by Robin Burger.